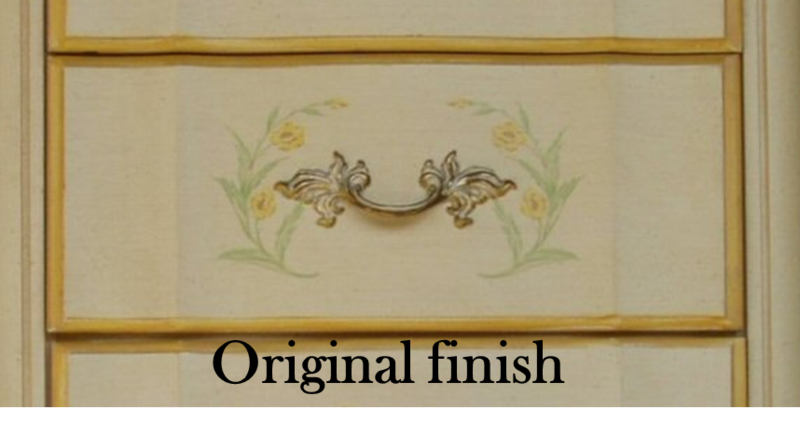 This is the "original-original" finish from 10+ years ago. 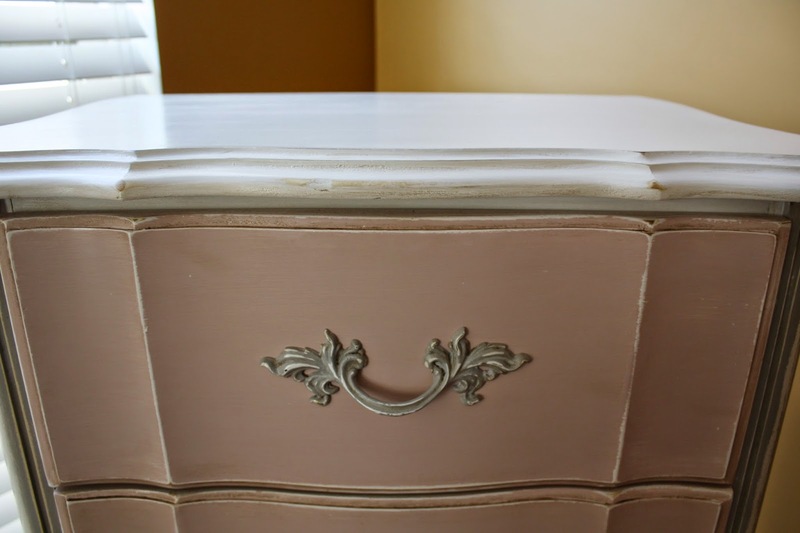 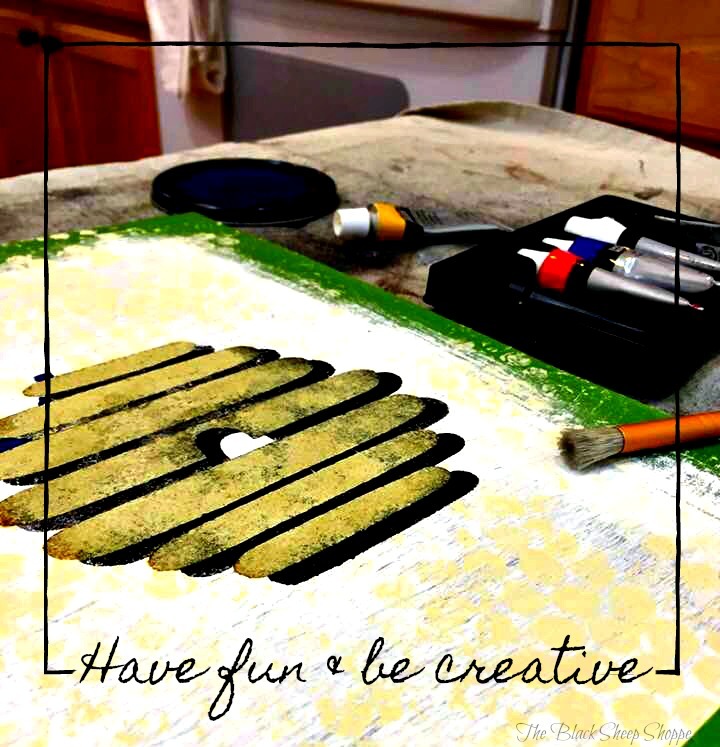 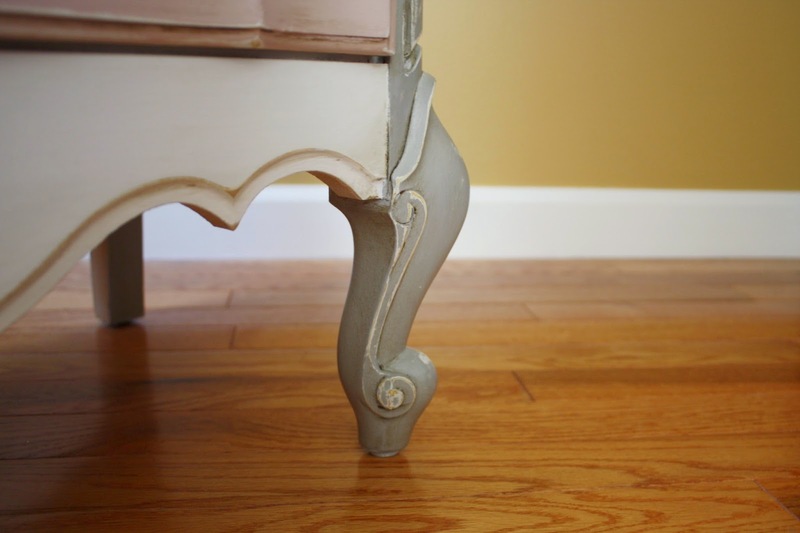 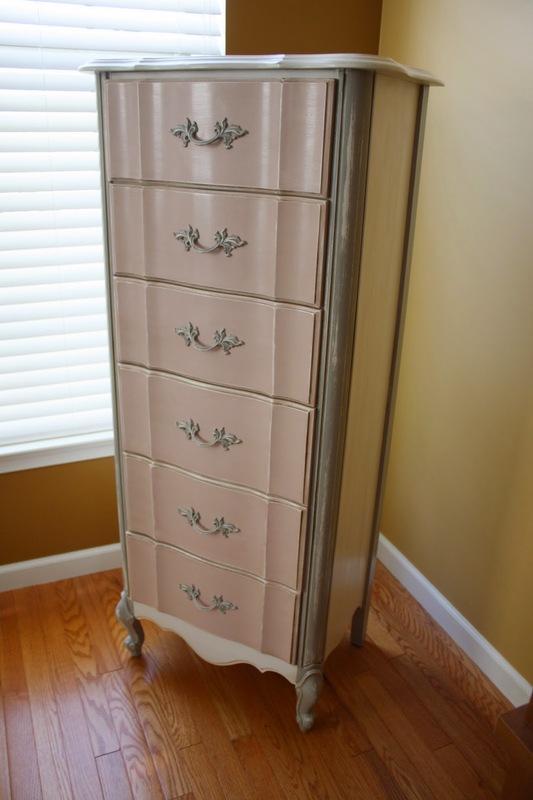 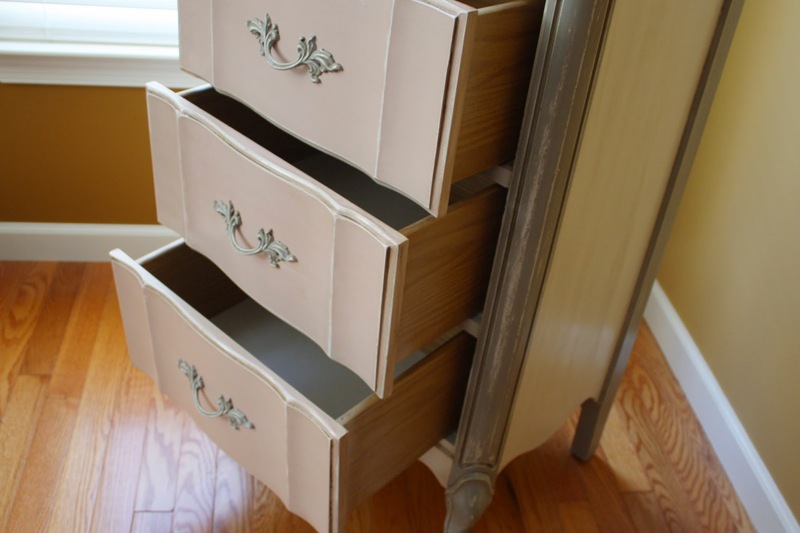 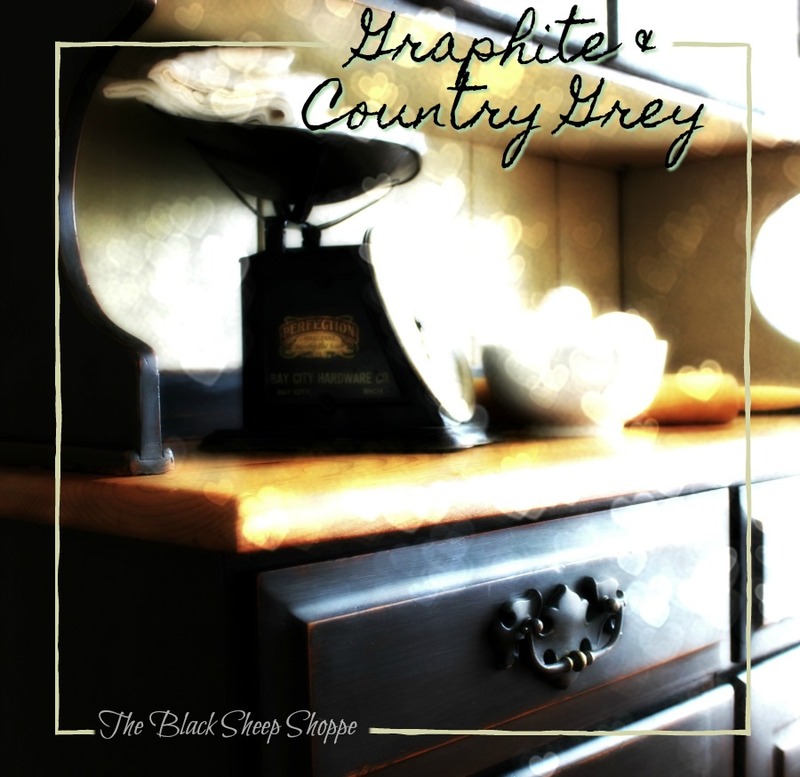 The new color scheme is Antoinette, Paris Grey, and Old White chalk paint. 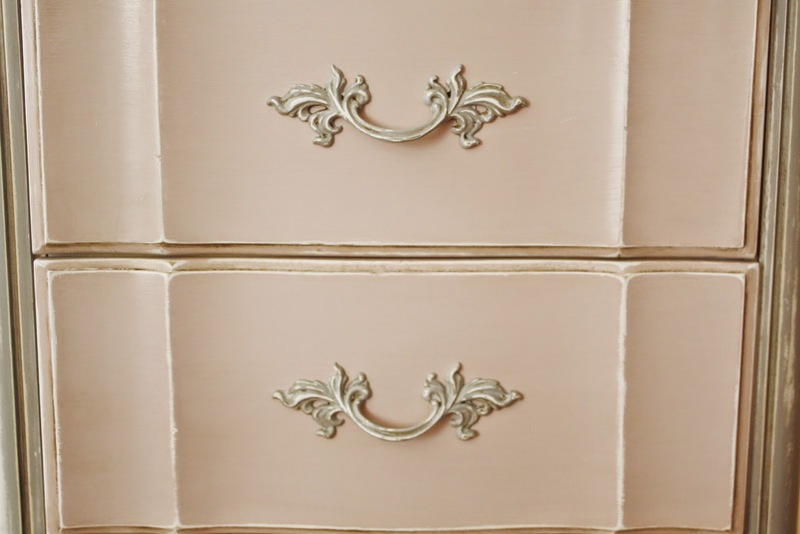 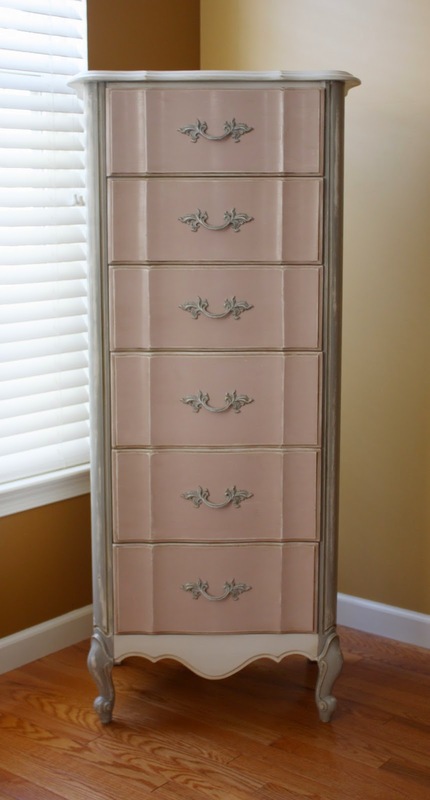 accents of Antoinette Pink and Paris Gray.